The deadline for booking a hotel room at the group rate has passed. 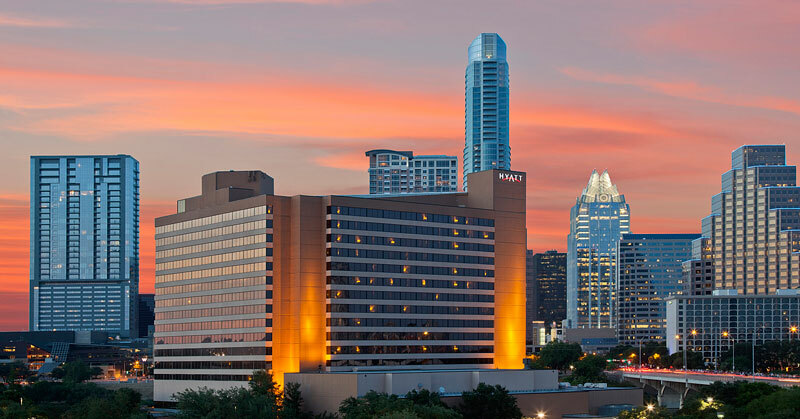 Please contact the Hyatt Regency Austin directly at 512-477-1234 for current rates and availability. All VSLive! attendees who drive to the event will receive a discount off the self-parking rates listed above. Inquire at the conference registration desk when you check in. Avis Rent-a-Car is offering a discount on car rental for Visual Studio Live! Austin attendees. To receive the discounted rates, call Avis at 800.331.1600 and use the Avis Worldwide Discount (AWD) number D005872, or click here to make your reservation online. Exploring a city can be an exciting adventure. Visit the Austin, TX Tourism Site to start planning your trip today!